Ever since I've come back from Reykjavik, I've been a bit preoccupied with Icelandic pop music. 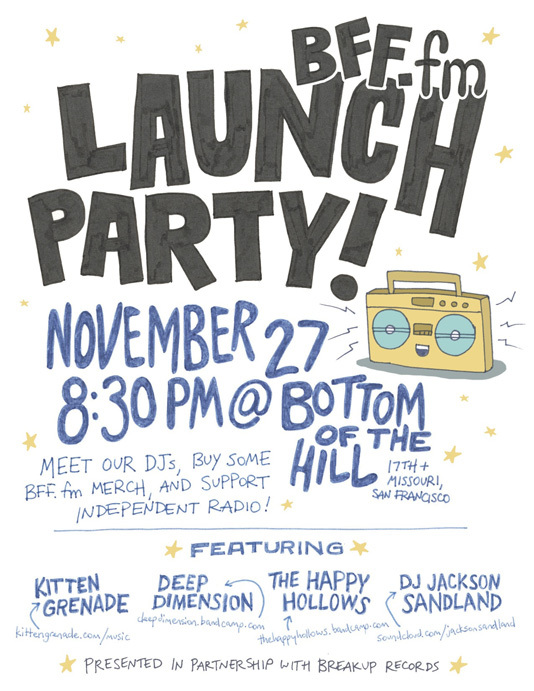 BFF.fm has let me play a few tunes and this Wednesday, the 27th, they have a launch party at Bottom of the Hill. I'll be there to celebrate and you should come too!